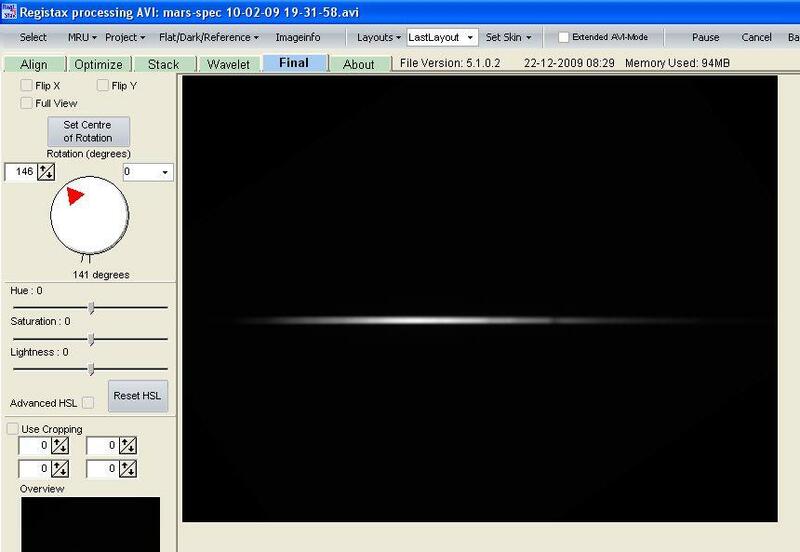 Using simple diffraction grating in a filter thread (Star Analyser) we can capture spectrum of many astronomical objects and analyze their chemical composition. Star Analyser is a blazed diffraction grating in a 1,25" filter thread. 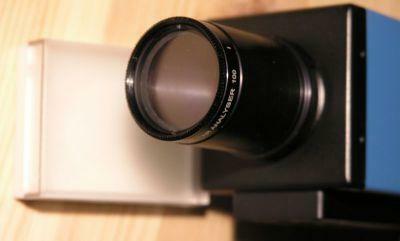 You can screw it to a eyepiece or to a webcam, small astronomy CCD camera. It will split star light into a spectrum from blue to red like a prism (or rainbow). Such spectrum can tell many things about a star or other target - like it chemical composition, temperature, movement against Earth. You can find more about Star Analyser in the documentation. 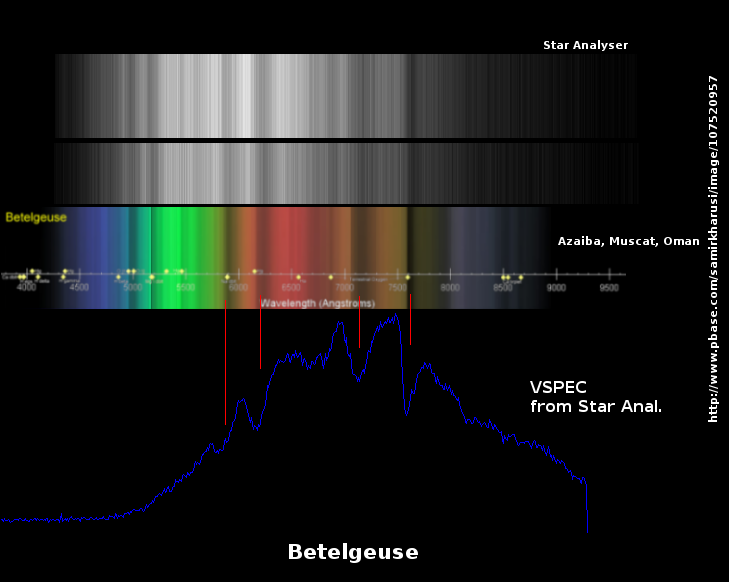 Imaging of a spectrum is quite similar to planetary imaging. Point onto the target (star, planet etc.) and then connect the camera with the Star Analyser. Focus as normal and then put the spectrum in camera field of view. 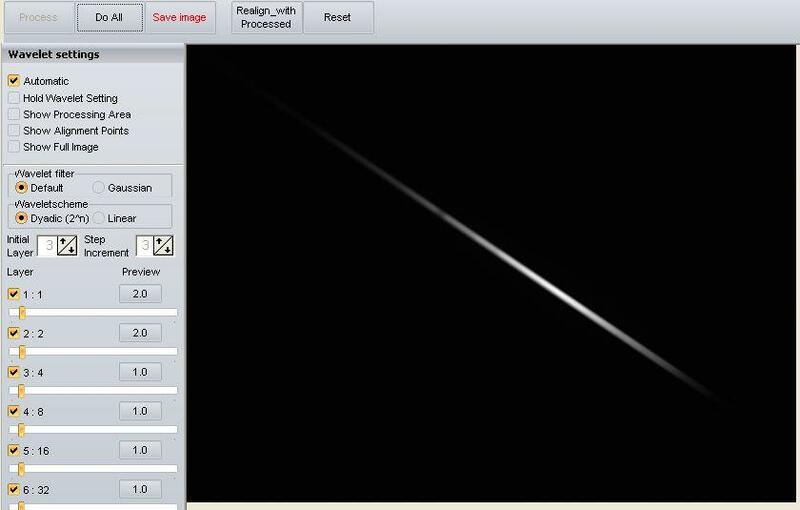 Then start capturing frames with the whole spectrum (you don't have catch a lot of it). 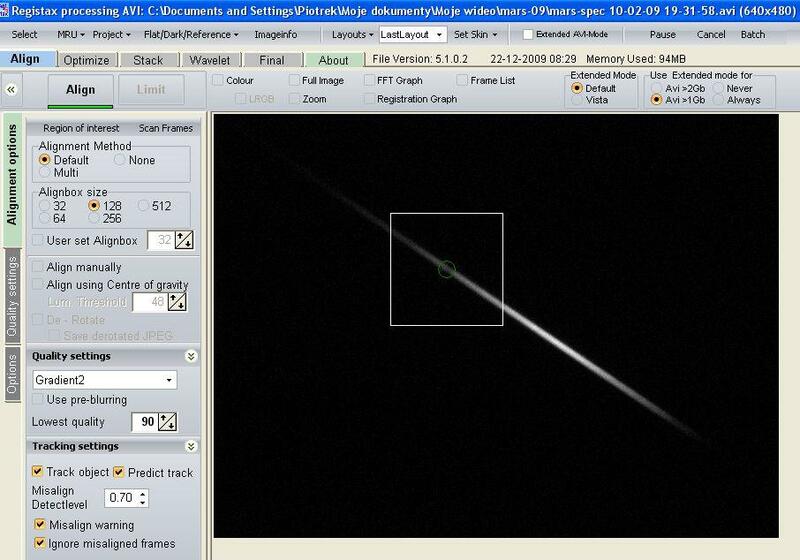 If you can - try to rotate the camera in the focuser so the spectrum is horizontal with blue end at the left and red end at the right (you can rotate the spectrum after processing with software but for faint objects it can add some noise to the rotated spectrum). It's good to collect images from various exposure times. If the image will be to bright or to dark you will lose the spectrum data. You will have to practice on this to find the best settings. When we capture some AVIs with the spectrum we have to stack them into a final image. Registax or other planetary/lunary processing software is good. If you have a star in the field of view then use it to align frames. 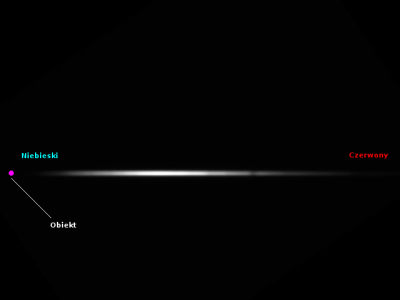 If you have only the spectrum - try aligning on the spectrum edge, which may be a bit tricky as the alignment box may not hold on the edge - try different places on the edge, or strong absorption bands in the spectrum). 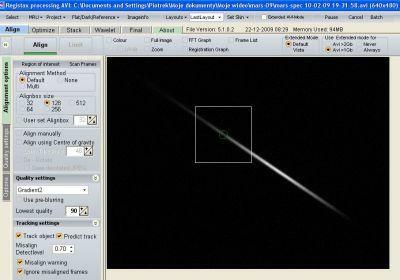 If the alignment box will drift - you will get blurry final image. Below is an example of successful stacking on an absorption band in IR (atmospheric oxygen that will always be there). Such final image save as FITS and as in some graphics format like BMP, PNG. 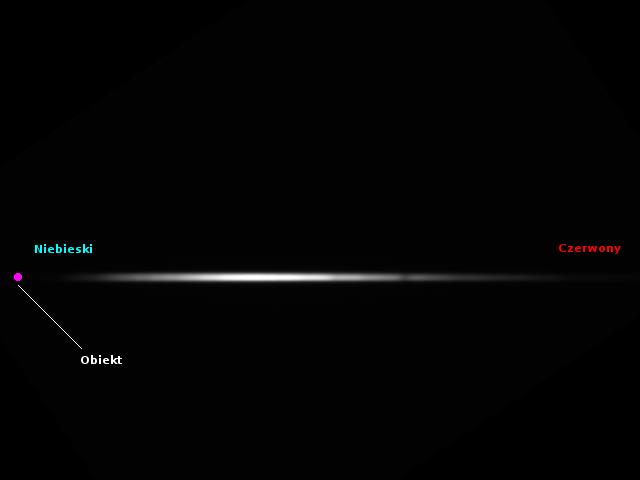 In such image it's easy to spot stronger absorption bands. There is a tutorial for processing spectrograms with it.